Head to this popular lunch spot to buy olives, Arabic coffee and pitas or to eat meat pies and sweet desserts. 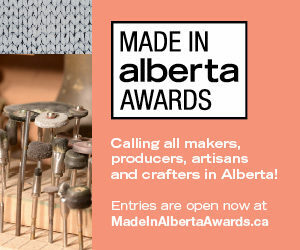 A meat pie ($4), a spinach, chicken and feta pie ($10.95), tabouli ($3.75) and olives (free). Photograph by Alyssa Quirico. Village Pita Bakery is a Mediterranean bakery that’s been around for 48 years. It was purchased 18 years ago by two brothers from Lebanon and has been a busy lunchtime hot spot ever since. 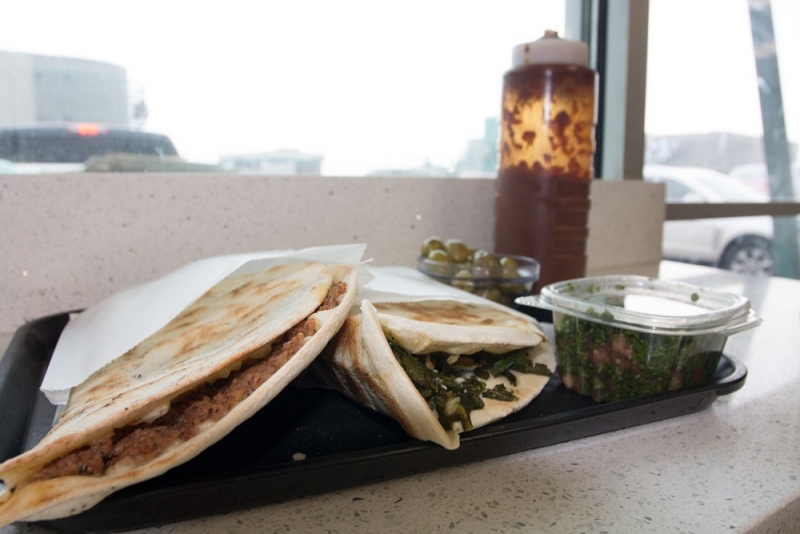 It’s located in a strip mall just off Memorial Drive East and serves made-to-order pitas, pies and desserts. It’s all deliciously fresh and cheap. 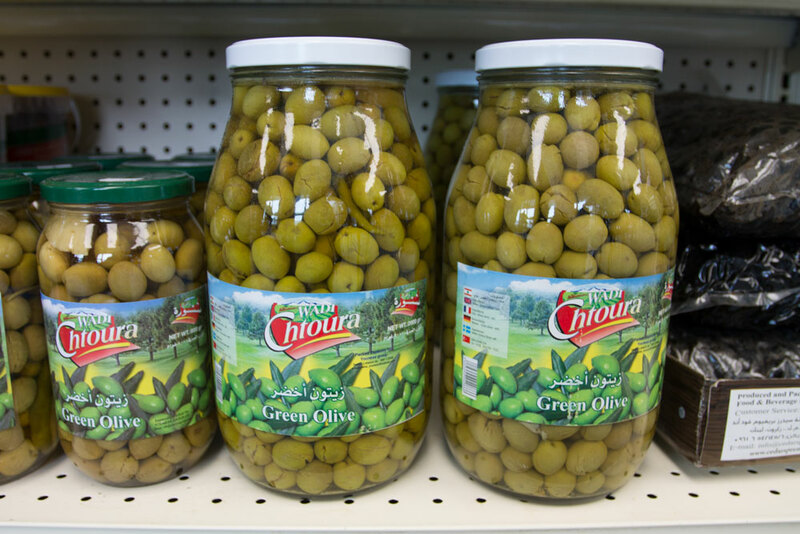 There are also shelves filled with must-have imported pantry products such as olive oil and tea. 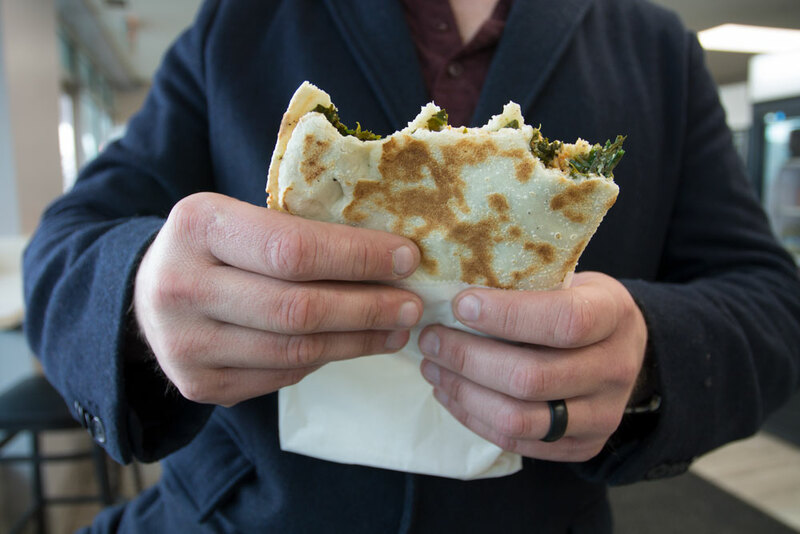 This comes super hot and super huge, but it’s balanced by a super thin homemade pita. It also comes with a generous helping of green olives on the side ($10.95). 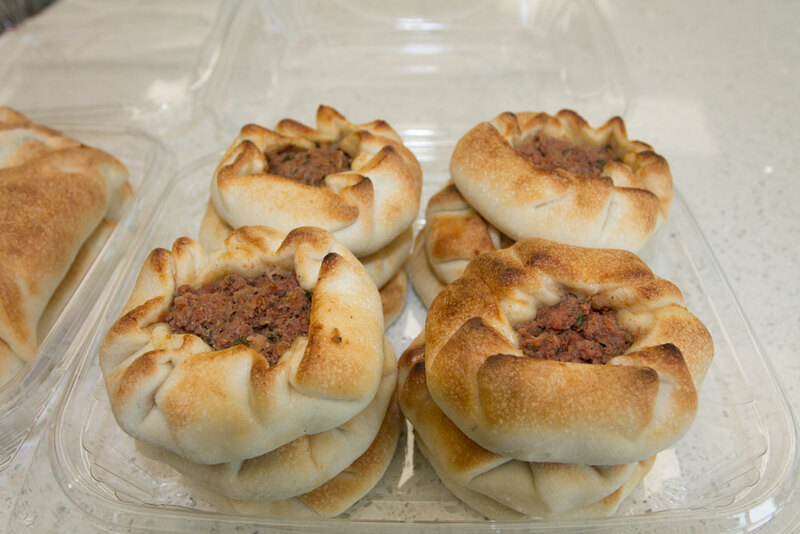 These small meat pies are a staple all over the Middle East, especially when families are gathered together (a dozen for $11). You can also order one big meat pie for just $4. This is like a spicy flat bread. 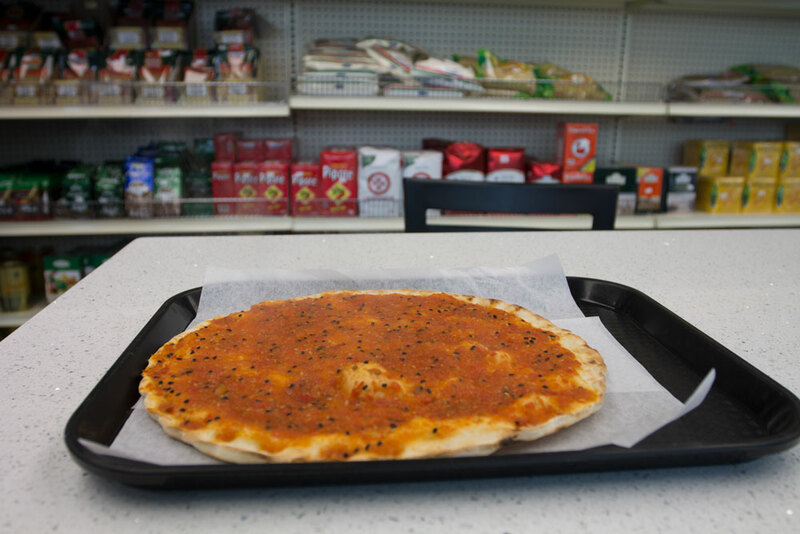 It’s an open-faced, baked pita topped with a roasted red pepper spread and sesame seeds ($4). 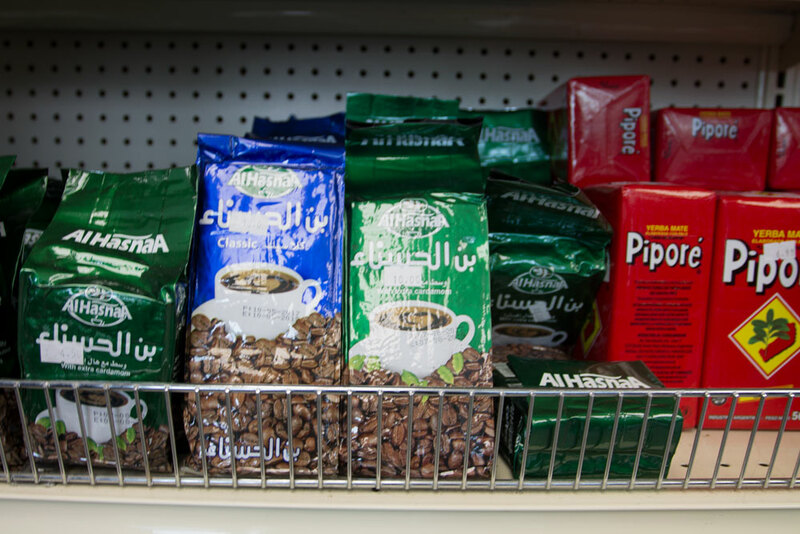 Arabic coffee (bags starting at $4.50) is not for the faint of heart, but it’ll keep you going all day long. 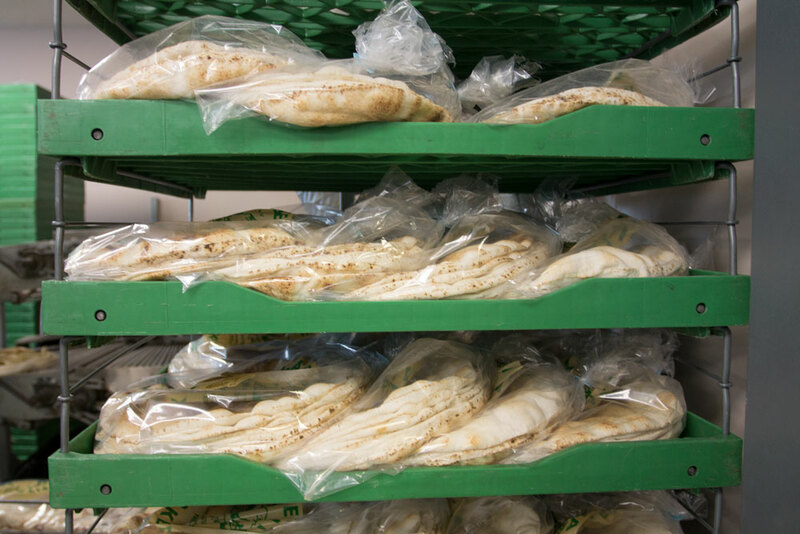 Pitas are made fresh daily here and come in what can only be described as giant (think like half the size of a person), medium and small (starting at $1.50 per bag). 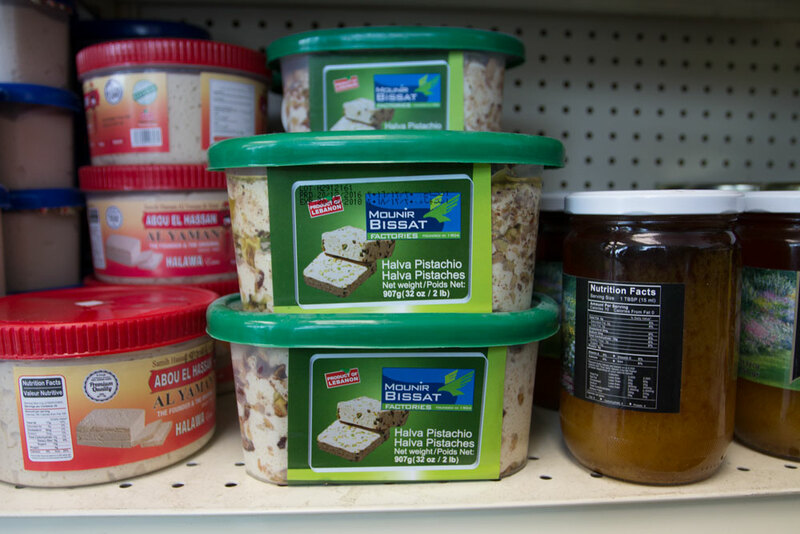 Layer this sesame and pistachio spread onto a pita, use it as a dip or eat it with a spoon (large container for $13). 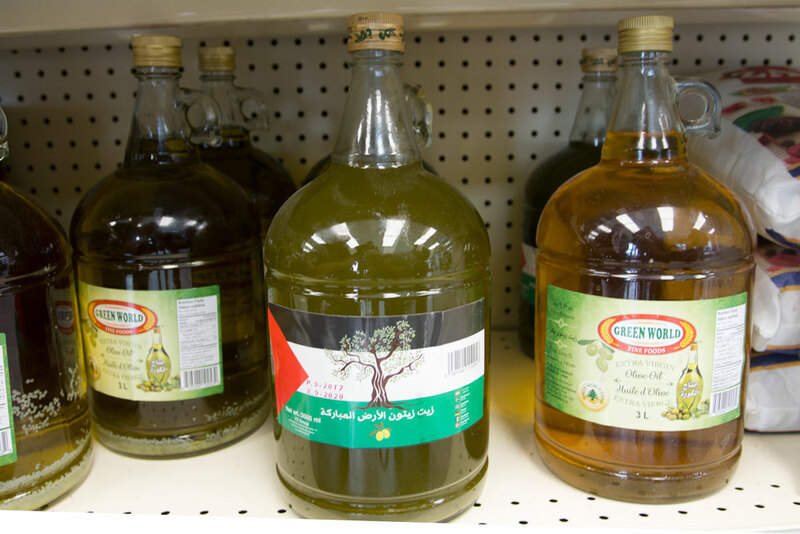 Village Pita Bakery is the only retailer in Calgary that carries this olive oil (pictured in the middle) that’s ordered directly from the farmer in Palestine. The bottle is more like a vat and is only $35. If you really, really love olives, buy the big jar ($18). The small jar is $8.99. Asafiri is a crepe-like pastry ($2.50 each) stuffed with sweet cheese (similar in consistency to whipped cream) and pistachios. It’s like a Middle Eastern cannoli. 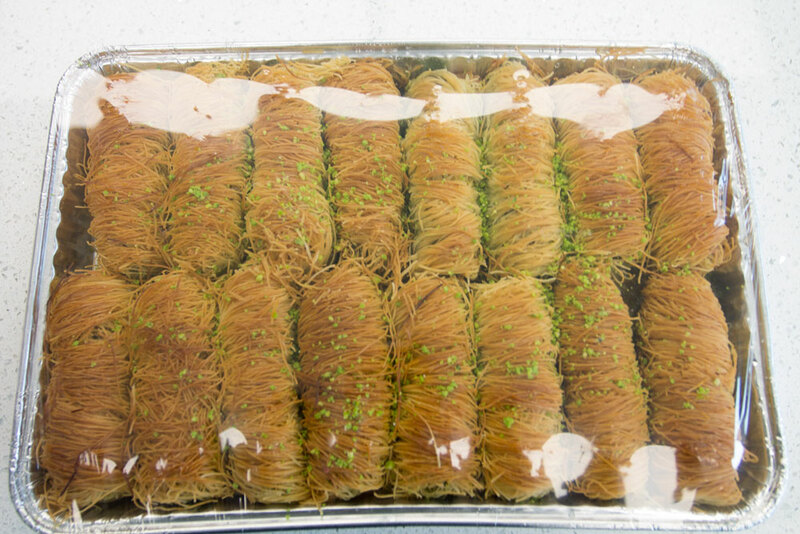 This popular dessert is similar to baklava. 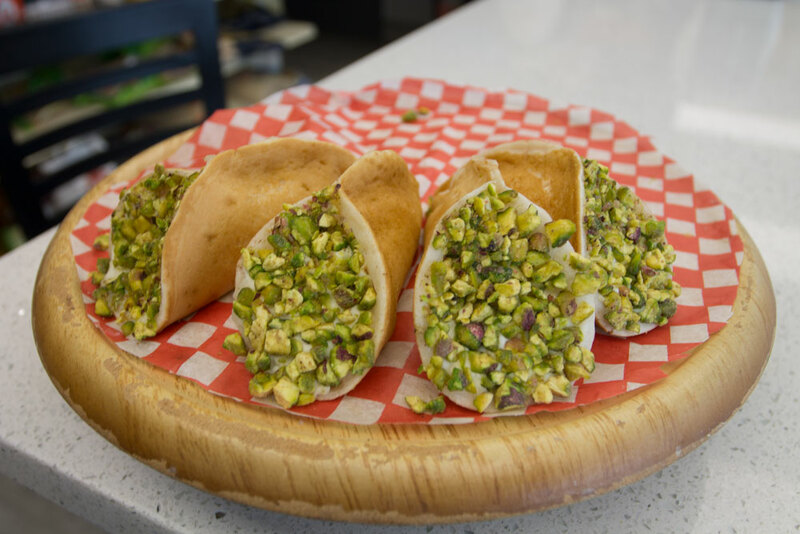 It’s stuffed with pistachios and wrapped in crispy, shredded dough ($2.75 each).